In 2011 Twin Lakes Civitan started our book bag project with the purpose of providing book bags filled with books to self-contained special needs students in our local schools. The goal was to provide them with summer reading material to help keep their minds sharp while they weren't in school. What started out as a small project has now grown tremendously! 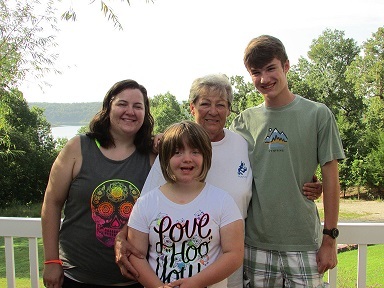 The "Stories from Maggie" name came about as a way to honor an important friend the the Twin Lakes Civitan Club--Maggie. Maggie was a wonderful "Civifriend" and was such a god send as she poured her heart and soul into everything she did for us! She created our website, organized events, designed flyers and publications, published our newsletter and the list goes on! She was an irreplaceable part of our Civitan family! There was never another option for the name of this project! Through the Stories from Maggie project, she continues to bring happiness and love to many lives on a daily basis!